We are regularly consulted by men seeking Laser Hair Removal as a safe solution that is everlasting and avoids the pain and repetition of other methodologies including frequent shaving, regular waxing or hair removal creams. Laser Hair Removal is a great solution for men, at Dezire Clinic, many of our clients are men seeking Laser Hair Removal as a safe solution that is everlasting and avoids the pain and repetition of other methods including frequent shaving, regular waxing and hair removal creams. At Dezire Clinic, our experience is that most men are seeking treatment to remove hair from the large areas of the body such as the back, chest and legs. Unwanted back hair and thick or excessive chest hair can be uncomfortable and embarrassing. 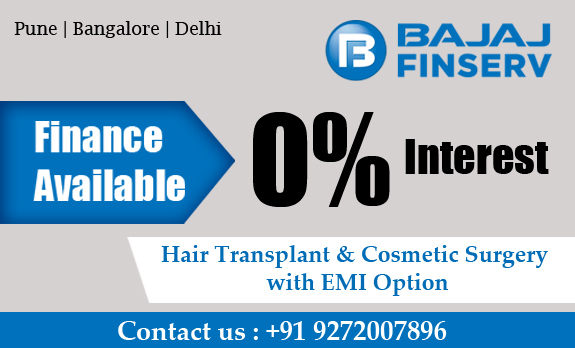 Increasingly men with excessive hair feel self-conscious and are searching for effective and longer lasting hair removal solutions. Some men are embarrassed by excessive body hair, especially on the back and shoulders and they seek a reduction Apart from appearance, many me are having hair removal or reduction due to professional careers as a model or actor as well as sportsman and athletes including swimmers, cyclists and track and field athletes. Men who dislike shaving can also benefit from laser hair removal on their beard area (lower face and chin). In addition to eliminating the need to shave every day, it will also prevent irritation and the development of folliculitis, a condition often experienced by men where one or more hair follicles becomes inflamed from shaving. At Dezire Clinic, we operate Diode laser machines, the most trusted name in the industry. Laser hair removal is safer and preferable to other treatments such as shaving and avoids the risk of “Shaving Bumps” and ingrown hairs from shaving. Other treatments such as Cream Depilatories can cause chemical burns, and to be effective Waxing requires hair growth that really misses the point and purpose of hair removal, and is painful and may lead to significant skin irritation and inflammation. Laser Hair Removal is the best way to treat and prevent in-gown hairs. Other options include electrolysis; electrolysis works by running an electric current into each hair follicle to heat and destroy the follicle. The electrolysis process involves the therapist inserting a sterile needle into each hair follicle in the area being treated, and then triggering a low-level electrical current. Because electrolysis is directed at one hair at a time, it is time consuming, tedious and dependant on the therapist identifying each follicle. At Dezire Clinic, we can treat Men of all ages. Young people under age 18 require the presence of a parent on the first consultation or written consent from a parent. The permanence of Laser Hair Removal means that it should be carefully considered and evaluated in the context of possible future personal needs and expectations. What happens during the actual treatment? Lasers work by delivering an intense beam of light that is absorbed by the skin. This light is converted to heat and is absorbed by the cells being targeted, while leaving the surrounding tissue unaffected. It is important to understand that hair in the active growth phase is most affected by treatments as the hair contains optimum levels of melanin, which is directly targeted by the laser. During laser hair removal treatment you and your Dezire Clinic Laser Therapist will both wear safety goggles to protect your eyes during the procedure. The doctor will use a small hand piece that touches your skin to deliver the laser pulse. You may feel a light spray of coolant on your skin before each laser pulse. Our laser machine has a dynamic cooling device. This cools the skin on contact, making the laser hair removal treatment more comfortable..
Is Laser Hair Removal everlasting? Laser hair removal treatment everlastingly removes hair in follicles during the growth (Anagen) phase. At any time, about 85% of our hair is in the growth stage and will be removed by Laser. During this stage, the hair is most receptive to Laser because it is rich in protein, keratinized cells and melanin. The amount of time the hair follicle stays in the Anagen phase is determined by our genetic make-up. A hair’s Anagen phase may last for several years, with Anagen hairs representing about 85% of our hair. At the conclusion of the Anagen phase, the follicle enters the Catagen or transition phase and then the Telogen or resting phase when the hair begins to shed while the follicle is stimulated to begin a new cycle. Hair is not susceptible to Laser Hair Removal treatments during the Transition and resting phases. Please see the Dezire Clinic page about the Stages of Hair Growth. The duration of these phases of hair growth varies from person to person and is affected by our basic genetic (DNA) make-up, age, health and gender. Different hair colour and follicle shape also affects the timings of these phases. As hair follicles move back to the growth phase they become susceptible to laser treatment and can then be removed everlastingly, hence the need for follow up visits to treat the follicles that were not in the growth (Anagen) phase during earlier visits. effective laser technologies and products available on the market today. Back/Shoulder Hair Removal- Millions of men have thick, heavy body hair on their back and shoulders that may cause them embarrassment. If you have dense hair on your back and/or shoulders and wish to have it everlastingly removed, contact Dezire Clinic. Whether you want your back/shoulder hair to be thinned or completely removed, we can customize our laser treatments. Arm Hair Removal- Do you have a great arm muscles but are embarrassed to show them off due to excessive amounts of arm hair? Many men believe that dense arm hair is unattractive and can leave them feeling insecure about their appearances. Unlike electrolysis, laser arm hair removal requires fewer visits and is far less painful. The results of laser arm hair removal also last longer than any other type of hair removal treatment. Chest/Abdomen Hair Removal- Are you afraid that potential partners may be turned off by your chest/abdomen hair? Dezire Clinic specialize in creating natural-looking results that do not make laser hair removal treatments obvious. If a man wishes to maintain hair in a particular region but lessen the amount that is currently in said area, we can modify the laser hair removal process. Beard Hair Removal- Do you grow tired of shaving your beard every day? With laser beard hair removal treatments, you can throw away your razor and shaving cream and never look back! If you want to look well-groomed for weeks on end and no longer wish to have a five o’clock shadow creep in as the day wears on, contact Dezire Clinic. We can everlastingly remove beard hair so you no longer have to shave. If you do seek this option, a beard should be shaved the day or night before treatment, depending on the rate of hair growth. Nape/Neck Hair Removal- If you cut your hair and experience coarse hair growing on and around the nape of your neck a few days later, you may wish to consider laser hair removal. Shaving this type of hair is not only a hassle, but can be potentially harmful, as well. Removing nape/neck hair is a fairly painless process and can be done within a matter of moments. Jockey Hair Removal- Embarrassed about hair growth in and around the jockey area? Our technicians perform jockey hair laser removal on a regular basis and can safely remove hair in the jockey and genitalia area. Laser hair removal in the jockey area is very simple, painless, and only takes a matter of minutes. Although it sounds like it would be an extremely painful area to receive laser hair removal, it is known to be one of the least uncomfortable parts of the body for laser hair removal treatments. Leg Hair Removal- With more and more men participating in bike riding, athletics, swimming, and scuba diving, they may find it beneficial to everlastingly remove pesky leg hair. Dezire Clinic makes leg hair as easy, painless, and affordable as possible, and our staff can remove leg hair to give men the most natural, attractive appearance. We can also remove hair on feet and toes, as well. Ear Hair Removal- As men age, they tend to develop ear hair. Ear hair can cause a man to be self-conscious about his appearance and his age. Laser ear hair removal is an extremely fast, gentle process that can eliminate unwanted ear hair within a matter of sessions. Eyebrow Hair Removal- Do you have random hairs that grow between your eyebrows that make you feel unattractive? We take pride in their artfully-designed, well-balanced eyebrows that can perfectly frame a man’s face. Laser eyebrow hair removal is much less painful than waxing and tweezing and lasts for a longer amount of time. Depending on how thick a client’s eyebrows are, we may recommend 6 to 8 laser treatments to remove eyebrow hair.